We are extremely pleased to inform you that Anthony Glover has joined our practice, and his list is filling fast. Anthony is a great friend of ours and an excellent and compassionate dentist who shares our values. 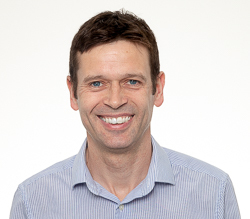 He has worked with us at Longwell Green for 13 years, and joins us now from Charlton Park Dental Practice in Keynsham. If you would like to register to receive information from us, please complete the form below and click on 'Subscribe'. If you would like us to call you to make an appointment, please provide your phone number. If you would like to e-mail us or you'd like to send a testimonial for the site, you can do so here. We have a very simple ethos: to act in your best interests and to treat you as we would treat a member of our own family. We have never worked any other way, and we have been fortunate to find patients recognising and appreciating the service we provide. Those of you who have been our patients elsewhere, are going to see no difference in the way you are treated in our practice. What we do hope you'll notice though is the enviroment we have created both for you and for us. We have employed all the right people to create a practice that we are immensely proud of. We have taken an old building and completely rebuilt, redesigned and refurbished it, having only retained its outer walls and the roof trusses. Every nut, bolt, screw, wire and pipe are new. We have designed it using a team who only design dental practices, and the work has been carried out by builders who similarly only build dental practices. We have separated the reception desk from the waiting room to give patients more privacy. We have introduced decontamination processes for cleaning instruments that meet the Government's Best Practice standards in HTM 01-05. We have introduced heat recovery systems in the surgeries which retain the heat as we replace the air in the surgeries, making the enviroment in there healthier for you and us. The practice is air-conditioned throughout and meets current building regulations fully. The surgeries are kitted out with bespoke cabinetry and ADEC dental chairs and units. Our X-rays are all digital and include a DPT full mouth scanner. We have a ramp and wheelchair access including to our patient toilet, also kitted out with baby changing facilities. We have thrown our heart and soul into this practice, but it is still us, providing you with the same level of care you have experienced from us in our previous practice. We hope you'll love what we have created. Call our practice on 0117 990 2215. We are open Monday - Friday, 9am - 6pm. Outside of these hours, call 0117 990 2215 and there will be advice on the answerphone message about what to do. This practice complies with the Data Protection Act (1998) and General Data Protection Regulation (GDPR) 2018. This means that we will ensure that your information is processed fairly and lawfully. What personal information do we need to hold? Any correspondence relating to you with other health care professionals, for example in the hospital or community services. Why do we hold this information? We need to keep accurate personal data about patients in order to provide you with safe and appropriate dental care. We are required to retain your dental records, X- rays and study models while you are a patient of this practice and after you cease to be a patient, for at least eleven years or until age 25, whichever is the longer. Your information is held on both the practice’s computer system and in a secure manual filing system. The information is only accessible to authorised personnel. Personal information will not be removed from this practice without the patients authorised consent. Your personal information is carefully protected by the staff at this practice. All access to information is held securely and can only be accessed by regularly changed passwords. Data is encrypted and computer terminals are closed if unattended. Disclosure will take place on a ‘need-to-know’ basis, so that only those individuals/organisations who need to know in order to provide care to you and for the proper administration of Government (whose personnel are covered by strict confidentiality rules) will be given the information. Only information that the recipient needs to know will be disclosed. In very limited circumstances or when required by law or a court order, personal data may have to be disclosed to a third party not connected with your health care. In all other situations, disclosure that is not covered by this Code of Practice will only occur when we have your specific consent. Where possible you will be informed of these requests for disclosure. Should you at any time be unhappy with the way your data is being handled, please contact the practice manager Kay Hallows. Should this not resolve your complaint, you may contact the ICO (Information Commissioners Office), Wycliffe House, Water Lane, Wilmslow SK9 5AF. Our aim is to ensure that you are happy with the service that we provide. Things don't always go to plan in life, and sometimes, this may result in you wanting to raise your concerns with us. To this end we have a complaints policy in place to help address and resolve your concerns. In our practice, we take complaints seriously to ensure that our service meets expectations. All complaints are dealt with courteously and promptly to resolve the matter as quickly as possible. Our aim is to react to complaints and learn from every mistake that we make. The person responsible for dealing with any complaints about the service that we provide is Kay Hallows, one of the practice owners and our Complaints’ Manager. If we receive a complaint by telephone or in person, we will listen and offer to refer the individual to the Complaints’ Manager immediately. If she is not available at the time, we will arrange a convenient time for her to contact you. If the matter requires a more immediate response, we will arrange for a senior member of the dental team to deal with it. If we receive a complaint in writing or by e-mail, it will be passed immediately to the Complaints’ Manager. If a complaint is about any aspect of clinical care or associated charges, it will usually be referred to the dentist concerned, unless the individual does not want this to happen. We will acknowledge a complaint in writing as soon as possible, normally within three working days. We will offer to discuss the complaint with you, and confirm how you would like to be kept informed of developments – by telephone, letters, e-mail or by face-to-face meetings. We will inform you about how the complaint will be handled and the likely time that the investigation will take to complete. We will seek to investigate the complaint within 10 working days and, as far as reasonably practicable, we will keep you informed as to the progress of the investigation. When we have completed our investigation, we will provide you with a full written report, which will include an explanation of how we considered the complaint, the conclusions reached in respect of each specific part of the complaint, details of any necessary remedial action taken and whether further action will be taken. Proper and comprehensive records will be kept of any complaints received and the action we take. These records will be reviewed regularly to ensure that we take every opportunity to improve our service. This service is funded by the General Dental Council. Denplan Limited, Denplan Court, Victoria Road, Winchester, SO23 7RG. Copyright © 2019 Hallows Dental Practice. All rights reserved.